Hi all! It's been weeks since I've last posted. The reason for that is simple, and may I say, was totally predictable: I had no time to blog about my holiday while I was holidaying! This blog post pretty well sums up my attitude to travel blogging, and I have learnt (read: am learning) not to worry too much about how I approach it, because everyone is different anyway. I'm back home now in my beloved Sydney. Like a migratory bird, I've chased the sunshine, and summer here is proving to be another beautiful one. When my family picked me up from the airport, we made many jokes about how life is "baaaaack to normal!" I've now got the opportunity to leisurely reflect on the four months that was. Flicking through thousands of photos, and pages and pages of my handwritten journals (see, I kept up to date with something! ), I can't describe how bittersweet it is to know that it's all over. My precious memories are the key to reliving all the special moments - infinitely so, if I wish. Which is why I don't feel like my trip is something that's "ended". Now that I've had all these incredible experiences, they will stay with me forever, reminding me that life is never just "normal". So in a way, I'll always feel like I'm holiday! With that in mind, I fully intend to treat you to some flashback blogging in the coming weeks, sharing with you the things that made me smile, laugh, or cry (embarrassingly often) while I traipsed around Europe. 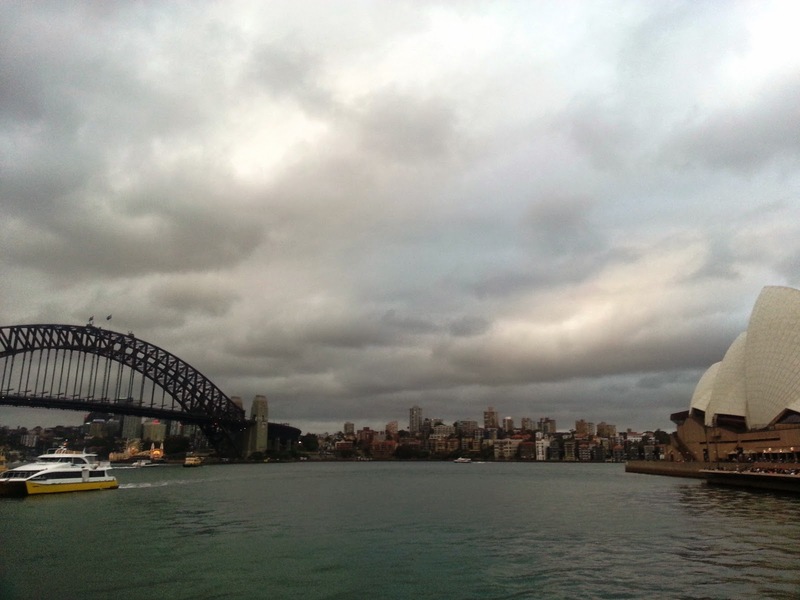 Meanwhile, I won't forget that Sydney is a stunning holiday destination in its own right. Like most, I take it for granted because it's familiar to me, but I'm truly lucky to live in a city that tourists are vying to visit even for a day, and which sits arguably in the top ten of the list of world must-sees. From now on, I'll be more appreciative, something I had to cross the planet to learn. I really do think gratitude is the secret to happiness. Enjoying the perfect Sydney Harbour on my first weekend back home: the Bridge, the Opera House, the brightly lit Lunar Park, even the ferries. That night, my siblings and I saw Sir David Attenborough speak live! Something to tick off my bucket list for sure. How do you feel about your hometown? Are you indifferent, or do you adore it? What do you love, what do you hate? Please share below, I love comments! Bonus random trivia: Do you know which Aussie artist made an album of the same title as this blog post? Person with the first correct answer gets kudos.